WASHINGTON, D.C. May 3, 2017 – The Congressional Progressive Caucus, led by Co-Chairs Rep. Keith Ellison (D-MN) and Rep. Raúl Grijalva (D-AZ), and First Vice Chair Rep. Mark Pocan (D-WI) along with other Members of the CPC, released the annual People’s Budget yesterday. 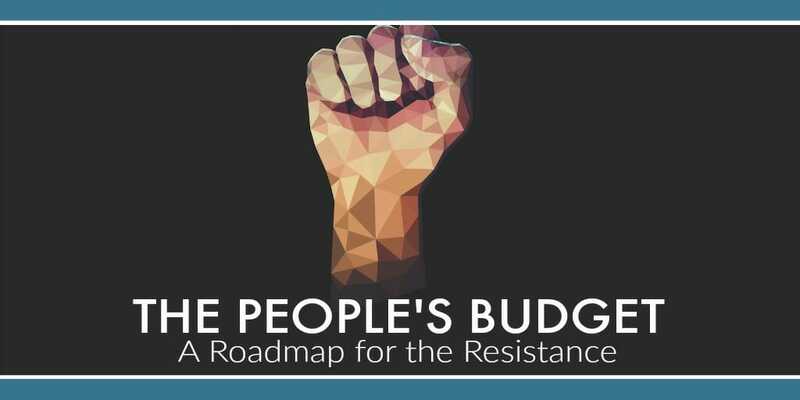 The Congressional Progressive Caucus’ People’s Budget: A Roadmap for the Resistance reinvests in American families, prioritizing funding for education, health care, jobs, clean air, and water. The People’s Budget puts political and economic power back in the hands of the people. 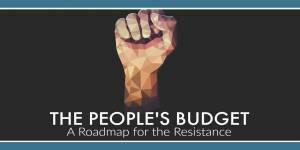 The Executive Summary of The People’s Budget: A Roadmap for the Resistance can be found here. The full text can be found here. A list of organizations supporting this year’s budget can be found here. The Economic Policy Institute released an analysis of The People’s Budget, which can be found here. “As the Trump Administration attempts to gut the Environmental Protection Agency, the National Institutes of Health, the Labor Department, and countless other essential services, the Progressive Caucus is providing an alternative vision – one that will help working families,” Rep. Ellison said. “The People’s Budget creates jobs by spending $2 trillion on infrastructure, makes debt free college a reality, ensures equal pay for equal work, expands Social Security, and fights to reverse climate change by investing in clean energy. It also helps millions of American families by funding universal childcare. Right now, full-time childcare for a 4-year-old is more expensive than in-state public college tuition in 23 states. With the People’s Budget, we will invest $1 trillion in high quality childcare and make sure childcare workers earn a living wage. “The People’s Budget is a true reflection of our values. I’m proud that our proposal prioritizes public investments in infrastructure, quality and affordable healthcare, abundant resources for our public schools, and protections for the environment – each of which will directly contribute to economic prosperity for all Americans in generations to come,” Rep. Watson Coleman said. “In contrast, President Trump’s disgraceful budget and unworkable tax proposals are merely a handout to the wealthy at the expense of hardworking families and vulnerable communities. Our nation cannot succumb to such dangerous and divisive ideals. As bad as it may be, the Trump budget did not develop in a vacuum; it ultimately reflects a failed and untenable conservative vision for the nation that has only succeeded in widening economic inequality, stagnating wages for American workers, and cutting social safety net programs. The refusal from this Administration and Republicans in Congress to stand up for the very people they swore to represent is a green light for what can only be characterized as attacks on what truly makes America great.